There is an article circulating the internet that is filled with half-truths and misinformation. It is posted on a website called “Political Ears,” which is listed as a “satire website” here. Unfortunately, people are reading this article as fact. The ALS Association has received numerous phone calls from concerned people asking about information in the article even though it was recently debunked on Snopes.com, a website dedicated to exposing rumors and internet falsehoods. The ALS Association has developed the matrix below to address the points made in this fictional piece. If you have additional questions regarding any of the information below, please visit our website Frequently Asked Questions or email inquries@alsa-national.org. ICE BUCKET FRAUD: ALS FOUNDATION ADMITS THAT 73% OF DONATIONS ARE NOT USED FOR RESEARCH The ALS Association spent 79% of our annual budget on programs and services last year, which includes 28% on research, ONE of three main pillars of our charitable work (see below for breakdown). If a donor would like 100% of their donation to go to research, he/she can simply check a box on our online donation form here. If a donor already donated and would like to redirect their donation, please email us at donations@alsa-national.org. Over 73% of all donations raised are going to fundraising, overhead, executive salaries, and external donations. Less than 27% is actually used for the purpose we donated for. Fundraising and administration costs represent a very small portion of The ALS Association’s annual budget. Additionally, The Association has a three-pronged mission. So, in addition to research, we also spend money on care services to people living with the disease and public policy initiatives to encourage the advancement of legislative policies that benefit ALS families. Again, we spend a total of 79% on programs and services. You can view the breakdown of these expenses here and learn more about our work here. According to the ECFA, a charitable watchdog, 27% of donations actually making it to the cause they are donated to is unacceptable. In fact, the ECFA won't deem a non-profit as a reliable charity unless at least 80% of donations make it to their intended projects. Any charity that only spends 27% of donations on its programs and services would not be in good standings with the nation’s top charitable watch dog organizations. The ALS Association has a four-star rating from Charity Navigator; we are “Top Rated” on Charity Watch; we are a Better Business Bureau accredited charity; and we are a Guidestar Exchange gold participant. We encourage you visit each of these credible websites to gather more information about our organization. The ALS Foundation is a terrible organization to send your money. 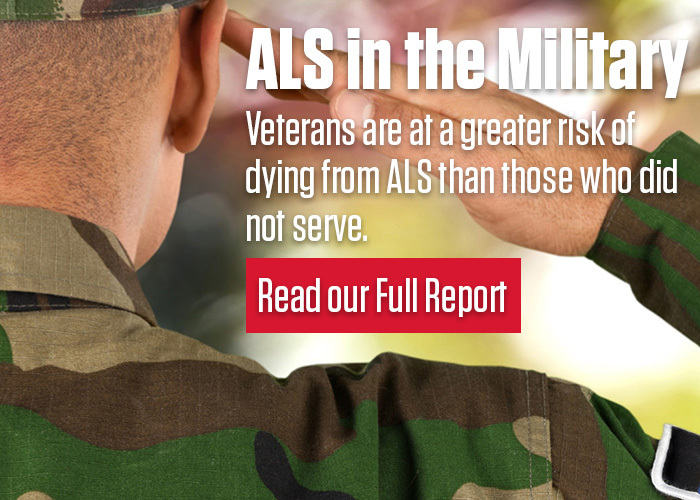 The ALS Association is a credible charity with the highest ratings from four independent charity watch dog organizations. If you decide to take the Ice Bucket Challenge, may I humbly suggest that you select a well-researched charity (on your own, no endorsements here) and send it to them. The ALS Association is committed to transparency and encourages people to research not only our organization but any organization to which they are considering making a donation. We put together a Frequently Asked Questions document to help navigate through our various financial documents. The ALS Association has posted financial statements online here. Our latest 990 (fiscal year ending Jan. 2014) can be found here along with our financial statement for the same period. The Association’s latest annual report can be found here. To view the financial statements from each of the chapters, you can visit their respective websites. To find your local chapter, go here. For more information, please contact your local chapter or email inquiries@alsa-national.org.